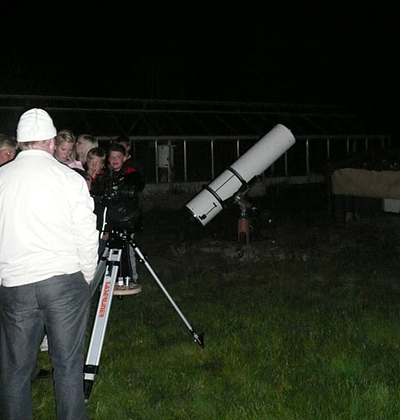 Participants are invited to look at the stars through a telescope while a researcher explains how the telescope works and what they are seeing in the sky. This activity needs to take place where the sky is not too illuminated by city lights. Naturally, it must also take place after dark and when there are no clouds in the sky. Target group: Can be adapted to different target groups. Preparations: Appoint someone who can run the activity. Decide on a location and format. Consider the size and how many groups you can accept. Having people register for the event in advance may be a good idea. Organise a telescope. Market the activity. Challenges: Finding a telescope and instructors as well as a suitable location. The activity may have to be cancelled in the event of inclement weather. Benefits: Usually attracts a lot of visitors of all ages.